With the rise of computerized records and all of the complications that follow paperless files, the importance of reliable data storage can only grow. It is a program for data backup on the cloud. That claims to offer the best rates for the most space, along with avoiding any complications and security problems with your files. With more than 10 million users in over 200 countries. It has a wide audience, but how far can a company reach while still offering quality products and customer care? If you are considering an account, this Degoo review can help. The purpose of Degoo is to protect your files from being destroyed if your computer crashes. For a company promising to protect data, there is a surprising number of people who claim their files were lost after backing them up with Degoo. 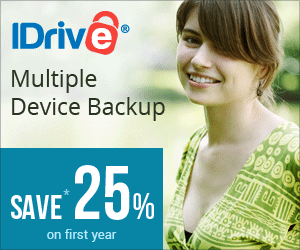 P2P storage entails the user sharing a portion of his or her hard drive in exchange for free data backup in the cloud. Degoo boasts that its program is easy to use, frees up space on your hard drive, and gives its users peace of mind. Whether you want to securely store business files or family photos, this Data backup could be the right choice for you. The purpose of Degoo is to protect your files from being destroyed if your computer crashes, either stolen or hacked, gets a virus, or anything is accidentally deleted from it. The application can be downloaded and backing up files within three minutes of opening an account. Once your files of choice are uploaded, the application will check for changes in the files every 24 hours and update the stored data accordingly. ?It replicates or mirrors your files into the cloud so there are multiple copies for retrieval at any given time. The Swedish company uses Google and Amazon data storage centers to keep users’ compressed data in multiple locations to minimize the risk of data loss. When copies of files are stored in multiple facilities, a natural disaster, software problem, or equipment failure cannot reach the files in each location at once, so your files should always be retrievable. The company also provides military grade encryption for your files with AES 128-bit encryption. This means your files are more secure from hackers and viruses. For premium users, there is a third option, the top secret or zero knowledge storage option. That is even more secure and private than the military grade option, with AES-256 encryption keys for each 8 megabytes of data. However, as part of this ultra-secure option, the company won't store your password. Therefore, if you forget it, you won’t be able to reset your password or recover any files stored as top secret. When you create an account with Degoo, you will need to install the application on a device. The application is compatible with Mac and PC computers as well as iOS and Android mobile devices. Once the program is on your mobile device or desktop, you can select files for backup. Selecting files is as simple as choosing an attachment for an email. You don’t have to upload all your files. After selecting what you would like to upload, the application will begin to replicate your data for storage. It is important to leave your computer on during this time. The program automatically updates your chosen files and backs them up every 24 hours. But, if you are a user with a free account, this doesn't count as activity to avoid a cancellation. You must log into the application or the website at least once every 84 days to be considered an active user. So to keep your account open and files backed up. If you have a premium account, your files will be saved as long as your premium membership continues, regardless of your activity. When creating more space on your computer or device, you can delete files from your device that have been backed up by Degoo. Just make sure you go to your preferences or settings first and choose the option to keep files on Degoo when they are deleted from a device. If you delete anything by mistake, even from the application, the files will be held in the recycle bin for five days. In some cases you need to put them back onto your device. When you want to recover data from the program, whether you lose the data from your computer or want to download it onto another device. All you have to do is open Degoo, select “Start New Recovery,” and select whatever files you would like to recover. When you’re ready to download your files, click “Start Recovery” and your files will begin restoration. Using this application for backup and retrieval is very simple due to the single purpose and function of the program. It is important to note that though you can login to your account from different devices and find your files. Thus, Degoo is not a file sharing program or a program to sync your files across any and all devices. Because it is not a file sharing program, anything you upload through your account is not visible to any other Degoo user unless you send it to them. You cannot grant anyone access to a group of files and allow them to see updates like you could in a program like Dropbox. You must send original files and their updates to people as you would from your saved files on your desktop. Because it doesn't sync your files like Google Drive, it is not as simple as hopping on a browser on any computer and viewing all your files within minutes. It states that Deego only focus is data backup for file safety and recovery. While this singular focus may be frustrating, the company states it is critical to its mission of data security. According to its website, any programs that offer multiple features like the sharing and syncing features of Dropbox or Google Drive are more at risk for bugs and system crashes. In fact, Degoo claims that data corruption is inevitable with any company that doesn't have its solitary focus. It also allows it to compress data more efficiently, so it can offer more space to its users for a better price than other companies with multi-feature programs. If you sign up with Degoo, a free account comes with 100 gigabytes of data backup with a possibility of up to 500GB more with referral rewards. For each person who creates a Degoo account based on your referral, you get an additional 3GB for your account. Premium membership plans start with 2 terabytes of backup storage with another 1TB possible in referrals, also worth 3GB per new account. Available backup space - a premium account offers 20 times the storage of a free account, excluding referrals. Activity requirement - a premium account requires no activity from the user. But a free account will be cancelled and all data deleted after 84 days of inactivity. Photo compression - only the premium account offers the ability to shrink photos on a device to take up less space after being uploaded for backup. Desktop limitations - with a free account, you can only upload files from one desktop. While a premium account has unlimited desktop accessibility. Although there is no variation in the features of the premium account, there are different payment options. You can purchase premium access monthly, yearly, for five years, or for 100 years. The monthly option of $9.99 is considered full price, and the more time you buy at once, the less it will end up costing per month. For example, a yearly plan offers 20 percent savings for a one-time payment of $95.88. The cost for five years up front is $239.40, which offers a discount of 60 percent. A 100-year plan offers 90 percent savings for a lump sum of $1119.00. Before making a decision, Degoo offers a two-week free trial of premium features. Degoo makes a lot of impressive and lofty promises to its users. But, like with any other company, there is information you could overlook when signing up and agreeing to its terms and conditions. With its headquarters in Sweden and a large international audience, it would be taxing to conduct legal processes very far from its main office. The terms and conditions clearly state than any legal matters will be handled by Swedish courts and according to Swedish laws. If you felt justified to pursue any legal action against Degoo, you would have a difficult time even knowing where to begin. The most critical part of the terms and conditions addresses the liability of Degoo for loss of any data or content. Simply stated, Degoo denies all responsibility for any loss you may incur when using its services. Third-party servers and data storage facilities may allow them to store your files in multiple locations. But it also releases them from liability if your files were to be damaged, destroyed, or stolen from any of the facilities they use. Because of this policy in the terms and conditions, any possible loss you face won't be rectified by the company that promises protection. Reviews are hard to find on the company’s website, other than two on the home page. But other technology focused websites have carefully considered all aspects of the program. Thus, the comments of such blogs overflow with accounts of personal experience. While it is important to remember that unsatisfied customers tend to share their opinions more than those who are pleased with a service. But, that doesn't invalidate the problems users have had when using this program. There are three resounding complaints from previous account holders with Degoo. First and most alarming complaint is data loss. Multiple users said the data they tried to upload was irretrievable. While one customer said 300GB of data was uploaded with Degoo from their computer only to disappear. Another review stated that all content from the user’s previous backups were lost on two different occasions. Complaints have also been made that Degoo deleted nearly 2 TB of a user’s data with no warning and that some data was destroyed when being uploaded. While many customers report no problems with the program and are completely satisfied. Thus, the guarantee of safe data storage seems more like a possibility than a promise. Second complaint that arises often is terrible customer support. ?There is no telephone number provided on the company website, so a customer’s only option is to email the support center or one of the founders directly. Even from satisfied customers who merely have questions, not a single review said they received a response to their emails. Users with complaints didn't receive any response regardless of the company’s ability to resolve the issue. No matter how wonderful a company is, every program, service, or product will have a problem at some point. It is clear that this company is not prepared to address and resolve problems for its clients. Third major complaint deals with a process called P2P storage. P2P storage entails the user sharing a part of his or her hard drive in exchange for free data backup in the cloud. Users who shared their experience with this process reported that the program used far more of their hard drive than the amount of data the user was permitted to upload. Many customers also said their computers were much slower than before they installed Degoo. While some continued to observe decreased performance from their device after deleting the program from their device. According to the company’s website, it no longer uses P2P storage and has not used the process since 2016. But, there are still very similar complaints of decreased computer functions shared in late 2017. While Degoo makes grand promises of security, reliability, and affordability, there seems to be more than meets the eye. With mediocre reviews by technology bloggers and extreme disappointment from an alarming number of users, it may be more of a risk than is worthwhile. When it works as it should, it is a wonderful tool, but when it doesn’t deliver, the cost can be devastating.